Tierra Educational Center is a locally owned, independent language school located in NE Portland, Oregon. 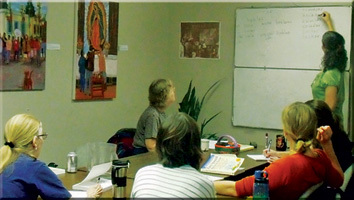 We offer small group and private Spanish classes of the highest quality for adults and children of all levels. Our experienced and enthusiastic instructors implement Tierra’s well-structured, original curriculum utilizing dynamic and conversational activities for the most effective learning experience. By providing an open and friendly classroom environment and hosting holiday celebrations and conversation nights open to the public, we build community through the sharing of language, culture, and love of learning. We invite you to navigate our website to find out more about our services, course offerings, and teaching methods. Thank you for your interest! Don't miss these cultural immersion courses! Sharpen your Spanish skills while delving into literary or cultural study in a cultural immersion course! In Pueblos Mágicos de México, intermediate students will take a virtual journey to the beautiful and fascinating towns in Mexico's interior that have been conferred the designation of "Magical Towns". 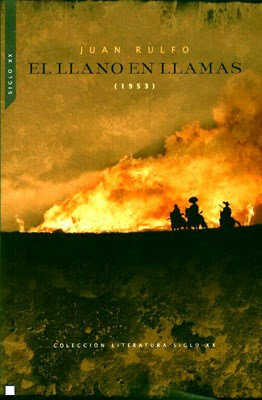 Advanced students have an opportunity to explore the classic collection of short stories El llano en llamas by legendary author Juan Rulfo.